Jinxed was such a killer read. I enjoyed every minute of it. It was very detailed in the death of the characters. I loved the book cover as well and enjoyed some of the characters within. I thought Layna was very talented and brave in the book. She has a good group of friends and a boyfriend who adores her. So who would want to harm Layna’s perfect life? This book was such a thrill ride. With such a who guessing game of Who done it? 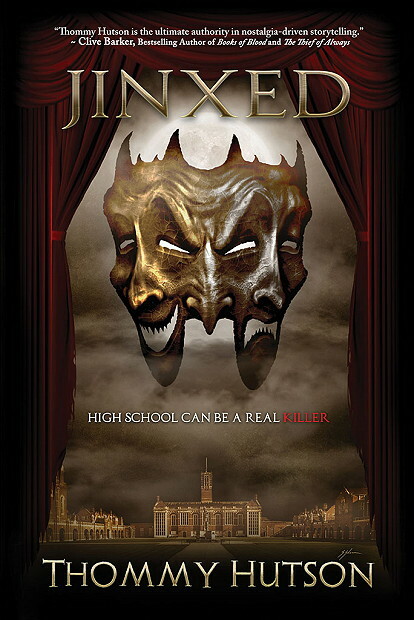 If you enjoy high school drama while a killer is on the loose, then you might like this book. It has a killer ending that leaves you with more questions. Filled with twists, fun and lots of dead bodies, this fulfills all your horror needs. For myself as a horror fan, this blew my mind. Born and raised in Upstate New York, Thommy Hutson graduated from UCLA and launched his career co-writing the story for the Warner Bros. animated hit SCOOBY-DOO IN WHERE’S MY MUMMY? He followed that with co-writing the concept and additional material for CHILL OUT, SCOOBY-DOO! His career then took a thrilling turn when he wrote and produced several definitive genre film retrospectives for television and home entertainment: SCREAM: THE INSIDE STORY (Bio Channel), NEVER SLEEP AGAIN: THE ELM STREET LEGACY (Bio Channel), MORE BRAINS! A RETURN TO THE LIVING DEAD (Chiller) and HIS NAME WAS JASON: 30 YEARS OF FRIDAY THE 13th (Starz/Anchor Bay). Thommy also wrote the screenplay for Syfy Channel’s supernatural horror film TRUTH OR DARE, which was a trending topic on social media the night of its release. He is currently scripting a film for The Hallmark Channel as well as writing another book that definitively details the history, making, and legacy of another fan-favorite genre film from the 1980s. 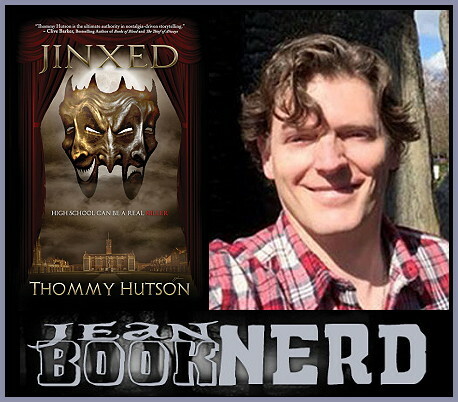 A member of the Producers Guild of America and Horror Writers Association, and an aficionado of horror and teen movies from the 80s and 90s, Thommy continues to develop unique, compelling, and provocative projects across multiple genres for film, television, publishing, and home entertainment through his company Hutson Ranch Media. It was a very good read. I love reading different books and discover new reads.